The Beyerdynamic DT 880 Pro is a classic headphone, one that has gained critical acclaim for years. The DT 880 was the unofficial flagship for Beyerdynamic until the release of the T1. Now in 2015, the DT 880 Pro stands as a popular mid-fi headphone in competition with the likes of the Sennheiser HD 600 and AKG K712 Pro. In this review we will evaluate the DT 880 Pro 250 Ohm and see how it has withstood the test of time. Our test system includes a Windows PC fitted with a Creative Sound Blaster X-Fi Titanium HD as the sound source. The Titanium HD’s optical SPDIF out is connected to a Maverick Audio Tubemagic D1 which serves as our DAC and amplifier. In addition, the opamps within the D1 have been replaced by higher quality LT1364 units. 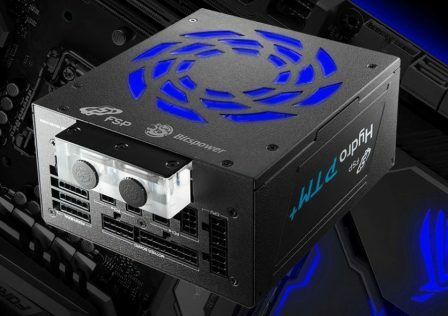 The DT 880 Pro has been allowed plenty of burn-in time and brain burn-in for this review. Beyerdynamic’s DT 880 is available in several different forms; Pro 250 Ohm, Premium 32 Ohm, Premium 250 Ohm, and Premium 600 Ohm. We are reviewing the Pro 250 Ohm model, the least expensive of the bunch. The specifications for which are listed in the table below. Two things jump off that table; the 96 dB sensitivity which is quite high. This is good because it means it’s an efficient headphone and thus easier to amplify. So don’t let the high impedance fool you because sensitivity is actually more important when asking how hard a headphone is to amp. Because of its 250 Ohm impedance though, you’ll want a headphone amplifier that is designed to power such high impedance headphones. Most quality solid state and tube hybrid amps are capable. OTC tube amps (output transformer coupled) are not recommended. OTL tube amps (output transformerless) are a great choice since they are best paired with high impedance headphones. The other noteworthy specification is the weight; this is a lightweight headphone. The light weight is even more impressive considering its build quality, which we’ll go over on the next page. Also of note is that Beyerdynamic markets the headphone as having analytical sound and being designed for studio monitoring. So that gives you a glimpse of the type of headphone this is. The box holds no surprises. This is what you should see when picking it up in a store. I ordered mine from Amazon and it arrived very well protected. This box was actually covered in plastic wrap and suspended on the bottom of a piece of cardboard, inside a cardboard box. When opening the box and removing its contents, this is what you see. The headphone is propped up on a cardboard stand/box, which the cable is tucked into. A small manual is included, as is this carrying bag pictured below. The bag is a nice touch. Not quite as nice as the exquisite wooden cases that higher end headphones come in, but you can’t expect that in a sub $300 headphone like this, unless the manufacturer’s compromised on the headphone itself. I don’t think any of us would prefer that. So the packaging is very good and very secure, as expected. Let’s move on to the more exciting things that await us. 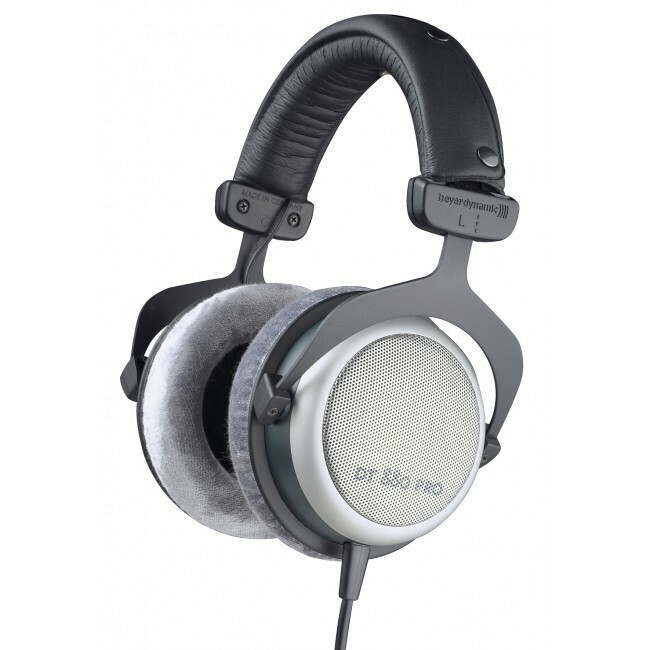 The DT 880 Pro is a German made headphone, from the German company that is Beyerdynamic. “Made in Germany” is generally something you want to see on a product, and it creates high expectations. 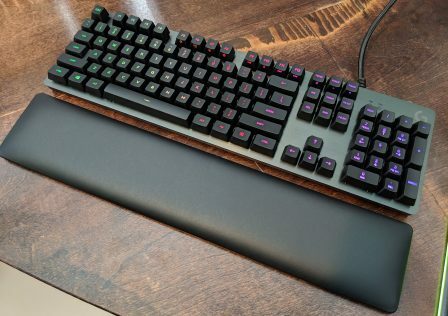 The DT 880 Pro lives up to those expectations. The build is mostly metal and thus far more sturdy than plastic headphones which dominate the market, including its more expensive fellow German competitor in the Sennheiser HD 600 and even higher end Sennheisers which are still plastic. The only plastic on the DT 880 Pro is the black casing around the drivers, although the rest of the casing is metal. Despite the metal construction, the DT 880 Pro is lighter than most headphones. Beyerdynamic really knows what they’re doing when it comes to physical design and durability. The DT 880 Pro is exceptional. I would think Beyerdynamic has the among the very best build quality for under $1,000. 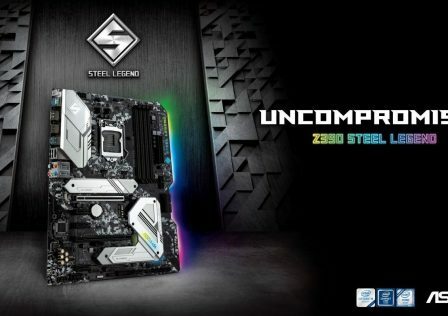 In fact, as far as build quality goes, they hit far above their price range. The T1, which is Beyerdynamic’s flagship, is built better than many headphones that are priced well over $1,000. But back to the DT 880 Pro, this solid build quality is what we all desire. You don’t have to worry about breaking it. The headband is wrapped in a soft pleather material (synthetic leather). It does not feel like real leather, and unfortunately it feels less durable as well. Prone to flaking and peeling perhaps, only time will tell, but since it just rests on your head I don’t think it will wear out too quickly. Real leather would have been preferable. The pads are made of velour, and very soft velour at that. 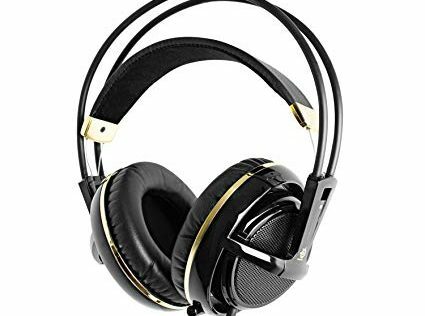 I am currently in the possession of HiFiMan velour pads which are included with their HE-400, HE-500, and HE-6 headphones (this is a $1,300 headphone). The HiFiMan velour pads are very hard and attract dust/hair and other filth very easily, while the pads on the DT 880 Pro are extremely soft and cushioned, far more comfortable, and seem to stay cleaner for much longer. Beyerdynamic has some of the very best velour ear pads on the market. The DT 880 Pro is listed as a “semi-open” headphone, but be mindful that it’s far more open than it is closed. It leaks plenty of sound, although not as much as a fully open headphone, and it has no isolation properties at all. The DT 880 Pro is meant for home listening. If you’re wondering why they didn’t make it fully open, it has to do with frequency tuning. Making it more open would increase treble presence and perhaps add some colorations, maybe making it sound closer to the DT 990 Pro? The semi-open design, airflow, and dampening was all done to make the DT 880 Pro sound like a neutral headphone, which we will evaluate in the next page. The headphone is adjustable simply by pulling the headband away from the drivers. The picture above shows the notches, similar to belt holes although nothing actually goes through them. Some headphones do use an actual belt style adjustment which I feel is superior. Adjustment on the DT 880 Pro was easy on the left side, but very stiff on the right side and thus harder to move in fine increments. You get more precise control with an actual belt loop style adjustment design, featured prominently on other headphones such as HiFiMan’s recent ones. The DT 880 Pro has moderate clamping force and is quite small. I have a fairly small head and I need to adjust the headphone to the largest size, and even then I feel like I could use one more notch. I don’t think I can recommend the DT 880 Pro to people with larger than average heads just for this reason. But the comfort is very nice for me. The extra notch to make it slightly bigger would be nice, but I can live without it since it’s still comfortable. The pads are huge and don’t touch my ears, unlike Audio Technica pleather pads, so this is a proper over-ear (circumaural) headphone. The cable is quite typical for high end headphones. It’s straight until it coils like a telephone cable. It’s not a very long cable which I prefer. My Audio Technica ATH-A900X’s cable was way too long. Speaking of Audio Technica, they use a very similar cable design on some of their M series headphones like the M40X. A straight cable like the one on my A900X, but shorter, is generally the preferred type, but since the DT 880 Pro is for at home listening I don’t think it matters much at all. The DT 880 Pro’s cable is easy to handle and quite durable. It terminates in a high quality gold plated 3.5mm jack, with a 6.35mm (aka 1/4″ or 6.3mm) adapter affixed by default. The DT 880 Pro uses a single entry cable design, which cannot be removed making it just like every other single entry cable headphone I know of. This means it’s a single cable that goes straight into only one ear cup—the left ear cup in this case, as is the case for every other headphone with a single entry cable that I’ve seen. Because of the single entry design there are wires protruding from each ear cup and concealed in the enclosed headband; this is to get the signal from the left side to the right, so that you have a stereo headphone and not a mono one! But it’s worth noting that the cables protruding from the drivers aren’t concealed at all, unlike my A900X. While a single entry cable design is more convenient to use, a dual entry design (in which a Y cable is used and connects to each driver, like IEMs) leads to better potential sound quality. The DT 880 Pro is one of the most expensive headphones I know of that still uses a single entry cable design. We finish off this section with an image of the test setup; the Beyerdynamic DT 880 Pro and upgraded Maverick Audio Tubemagic D1. The D1 is a budget DAC and amp and we apologize for that, since we aren’t getting the most out of the headphone. But this represents a common setup; most people buying the DT 880 Pro don’t get a high end DAC and amplifier. Don’t worry, in early 2016 we will re-evaluate the DT 880 Pro with a much higher quality DAC and amp, although we won’t say which ones yet. Before getting into our subjective listening impressions, we will list the test setup. Windows 7 x64 PC with a Creative Sound Blaster X-Fi Titanium HD sound card and ASIO4ALL drivers installed. Maverick Audio Tubemagic D1 with opamps replaced by dual LT1364 opamps, connected to the sound card’s optical SPDIF output with a generic mini toslink to toslink cable. Foobar2000 music player using the ASIO plugin and 64-bit ASIO4ALL drivers. So this configuration bypasses both my motherboard and sound card’s DAC, using the Maverick Audio Tubemagic D1’s instead, which is a superior DAC albeit only a marginal improvement over the Titanium HD. A wide variety of music tracks were used, from metal to classical, and a variety of different kinds of soundtrack music including electronic tracks. In addition, the quality of the music files includes low bitrate MP3s (as low as 192 Kb/s) to standard 320 Kb/s MP3s, and various qualities of lossless tracks, up to 96 KHz 24-bit FLACs. This is to get an opinion on the DT 880 Pro’s versatility. The DT 880 Pro is meant to be a neutral, revealing headphone. Beyerdynamic expects it to be used for studio monitoring due to its neutrality and detail. After listening to it for a while, we conclude it certainly is quite neutral. You’re going to see me compare it side by side to the Audio Technica ATH-A900X, my previous headphone which is a good benchmark for sub $200 headphones, being one of the best choices in that price range. Neutral: The DT 880 is one of the more neutral headphones you can get. The frequency response is very linear. This makes it ideal for mixing/monitoring, and for what it’s worth, I personally prefer a neutral sound signature. Bass: The bass here is tight, controlled well, and it extends very deep. Using the bass test presented here, I can hear bass as low as 20 Hz! Bass extension doesn’t get much better than this for headphones, and it’s a big improvement over the A900X. As for bass presence, it’s neutral. 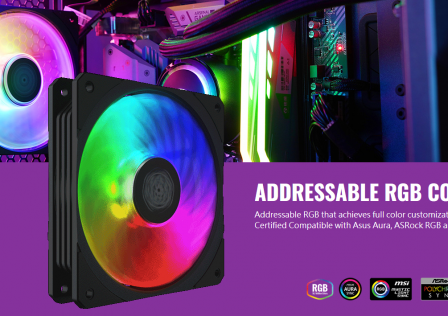 There isn’t much bass slam, but there’s more bass quantity than the A900X. Note that on some poor recordings (but not all), the DT 880’s bass can sound harsh. Mids: The mids here are extremely linear/neutral. This makes the DT 880 well suited for mixing/monitoring, and any genre of music. Lacks Transparency: This headphone is impressive for the price, but still lacks transparency. The sound is not as clear as even my Stax SR-30. 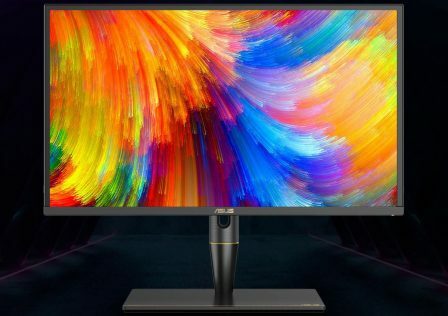 It is no more transparent than the A900X. Decay: Note decay is longer than optimal here, similar to the A900X. The result is a less realistic, convincing sound, with less detail than otherwise possible. Detail: The DT 880 is noticeably more detailed than my previous A900X. It’s one of the more detailed headphones for its price, but because decay is longer than normal, there’s plenty of room for improvement. Sound Stage: The sound stage here is fairly wide, but doesn’t have much height or depth. Perhaps a better amp would change this, we’ll let you know in December when this review gets updated. 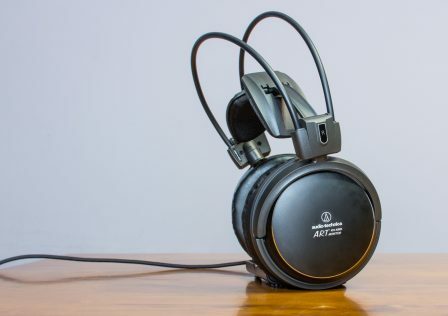 It’s an above average sound stage for sure, better than the A900X despite it being listed under “The Good” for that headphone: that’s because the A900X’s sound stage is very good compared to any closed headphone, while the DT 880 gets trounced by higher end open headphones in this aspect. Treble: The treble here extends very well. Using this test, I detect sound at up to 19 KHz. It’s a mostly neutral treble presentation, with a slight sparkle to bring out more details. However, there is room for improvement here. It doesn’t sound 100% convincing and can sometimes sound rather thin, it doesn’t bring a whole lot of air around instruments, and it can sound harsh and shrill on certain poor recordings. The DT 880 is not very forgiving. But, it’s mostly free of sibilance at least, with the exception being occasional bad recordings. From my experience, only good electrostatic headphones can provide 100% convincing neutral or slightly forward treble. Imaging: The imaging here is pretty good, but there’s much better out there, although probably not for the price. Instrument separation in general is very good, as in instruments don’t sound clustered together, but you can’t pinpoint the exact location of every sound. The DT 880 Pro is a splendid all-around headphone. It’s not the most technically adept, but it has a good, neutral timbre, and does equally well with all genres. One thing worth noting is that the DT 880 Pro sounds distorted at lower volume levels on my amplifier, but this will change with other, better amps. As GND-Tech is primarily a PC gaming website, we of course tested the Beyerdynamic DT 880 Pro for gaming. The hardware setup remains the same, but keep in mind that I use a Creative Sound Blaster X-Fi Titanium HD as the initial source, connected to my Maverick Audio Tubemagic D1 through optical SPDIF. 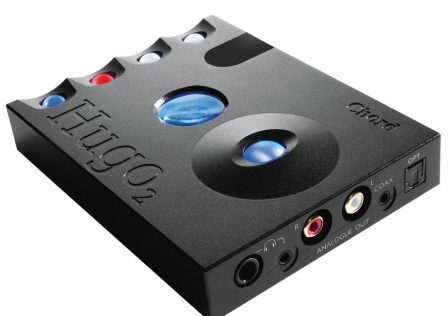 This enables sound card features to be used even with the Tubemagic D1. The sound card features I use with gaming depends on the game in question; for most games I just use X-Fi CMSS-3D virtual surround, which downmixes 5.1 surround to stereo, providing a surround sensation. But for OpenAL games (including DirectSound3D games converted to OpenAL through Creative ALchemy) I use EAX and X-Fi CMSS-3D which provides 3D HRTF audio processing instead of virtual surround, creating a binaural sound effect. Cryostasis: Sleep of Reason which uses FMOD despite the claims of OpenAL, so virtual surround was used here via X-Fi CMSS-3D. EAX enabled though it seems to do nothing, as all of the dynamic environmental effects like echoes and such seem to be done via CPU processing via FMOD. Cryostasis has some of the very best sound effects in gaming history. 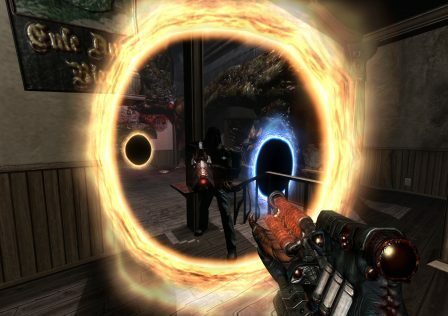 Amnesia: A Machine for Pigs which is an OpenAL game, so 3D HRTF processing is used. It does not support EAX however, but it has some of the very best sound effects of all games. Dark Messiah: Of Might and Magic. We aren’t sure what sound API it uses but it’s not OpenAL, so virtual surround was used via X-Fi CMSS-3D. Dishonored which uses Wwise, so virtual surround was used. Metro 2033 Redux which probably uses XAudio2. Virtual surround was used. The first game I tested was Cryostasis. Before, when I used the Audio Technica ATH-A900X, I used the bass boost feature of my sound card, boosting bass by 4 dB. I lowered it to 2 dB for the DT 880 Pro since I know it has more bass presence. The first thing I realized that bass boost was not necessary at all, so I quickly disabled it. There is noticeably more bass which most people will prefer both for gaming and music. Surround sensation and directional cues are very good due to the mostly open design of the DT 880 Pro. A noticeable improvement over the A900X indeed, most noticeable when using virtual surround it seems. But games that support 3D HRTF are still more impressive since it’s better technology, allowing me to hear in all directions thanks to the 3D sound field. 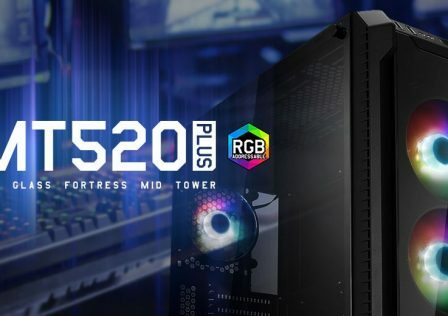 The DT 880 Pro with a good sound card like mine, or simply Razer Surround, will definitely give players a considerable advantage in multiplayer games. The DT 880 Pro is outstanding for gaming and one can’t really ask for more out of a headphone for this purpose. The Beyerdynamic DT 880 Pro certainly lives up to its reputation. 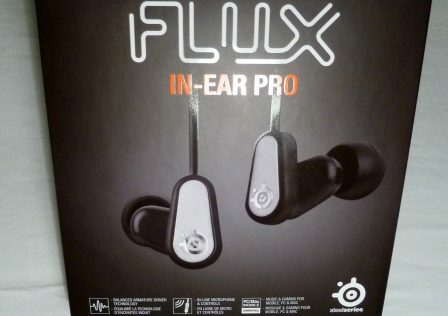 It is neutral and detailed, being a noticeable step-up over sub $200 headphones. It should suit music listeners of any kind and it should suit those looking to mix and create music. It is about as good as a headphone can get for gaming purposes as well. 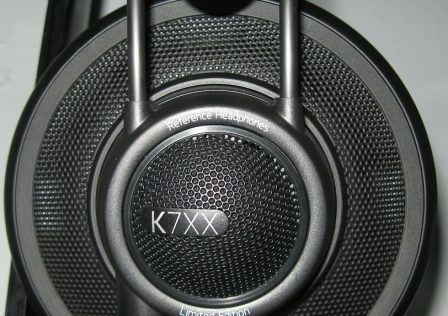 It is one of the most versatile mid-fi headphones, arguably the most. Now for the scoring. We will use the same scoring system we used for the A900X. Build Quality: Every bit as impressive as the sound. 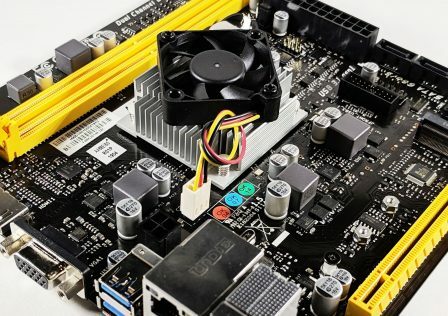 The DT 880 Pro’s body and frame are mostly metal. The pads are soft, cushioned velour, much better than HiFiMan’s velour. The headband is wrapped in what feels like faux leather, and it’s the lowest quality part of the DT 880 Pro. It feels as if it will start to flake and deteriorate faster than real treated leather. So the DT 880 Pro gets a 19/20 in this category. The Beyerdynamic DT 880 Pro certainly lives up to its reputation.